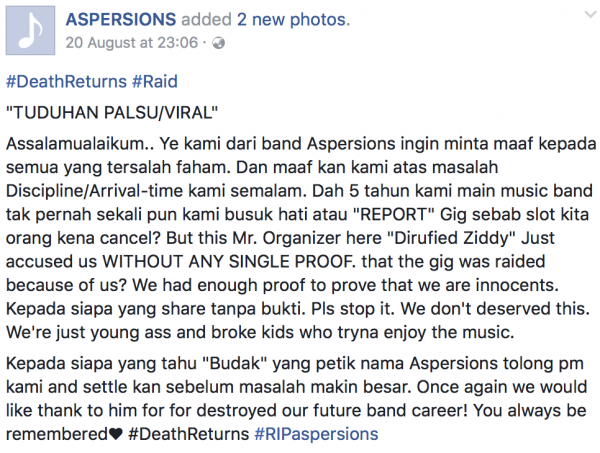 On 19 August ’17, a death metal gig held at Ultimate Blast Studio ended on a sour note after it was raided by the authorities. 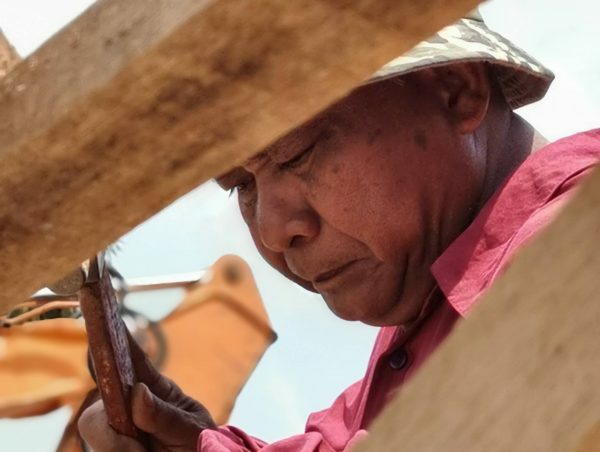 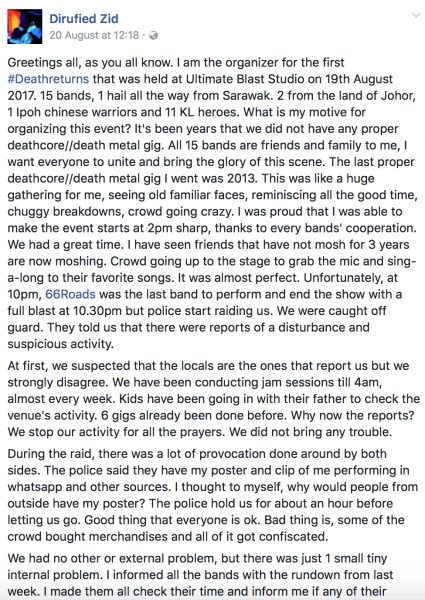 The organiser was informed that reports of disturbance and suspicious activity had brought the police down onto the scene, which stood out as odd because previous performances at the location had never caused much problems with the local community. 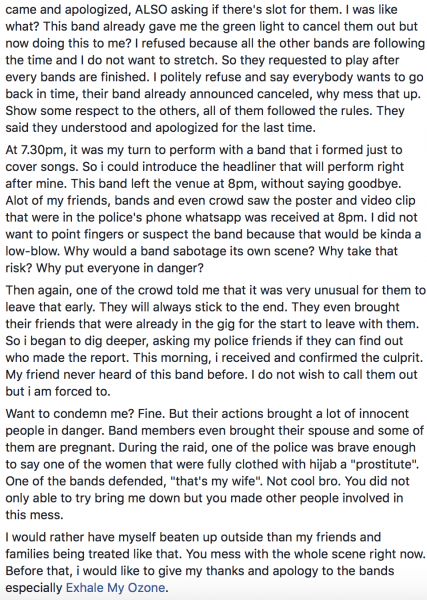 One particular band who were supposed to perform at the gig ended up having their slot canceled as a result of not being able to make it on time, and it wasn’t long before accusations of internal sabotage and betrayal started to descend upon the band, who were thought to have reported the gig to the police out of grudge. 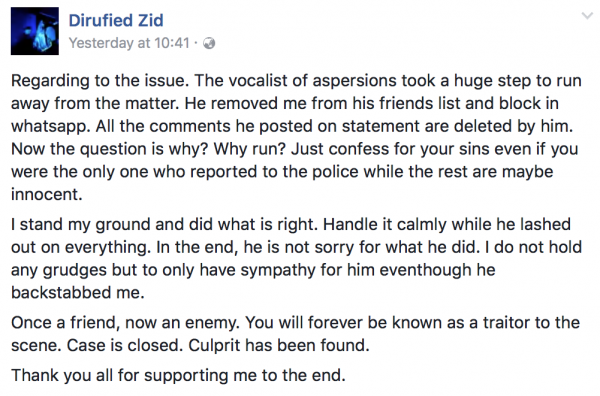 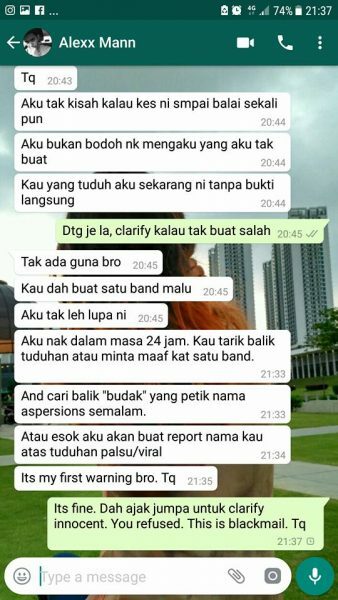 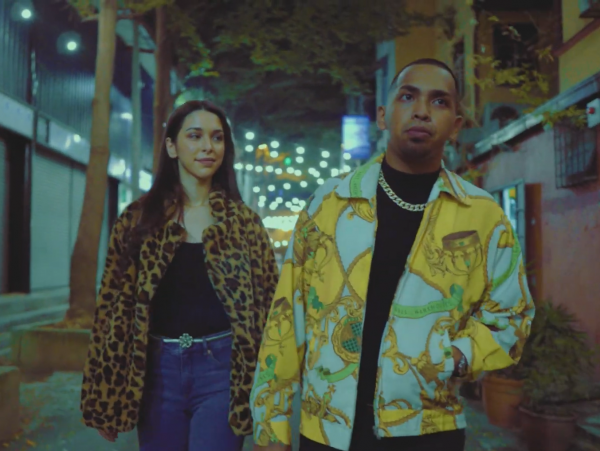 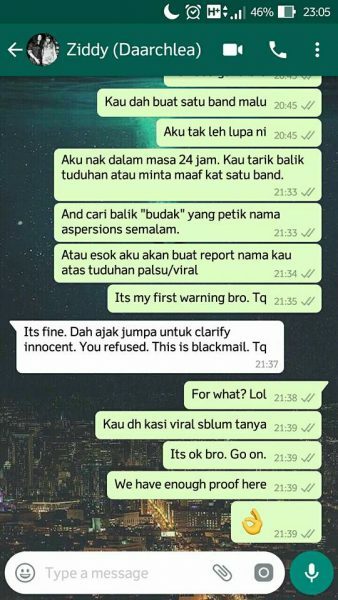 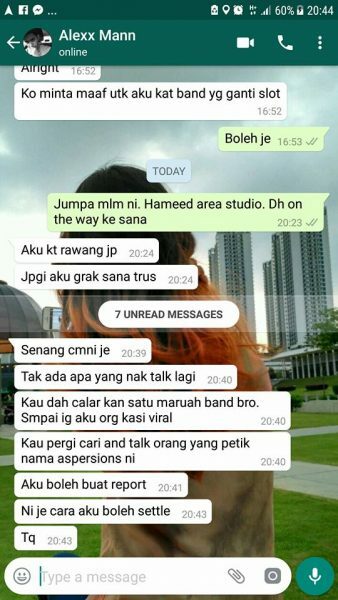 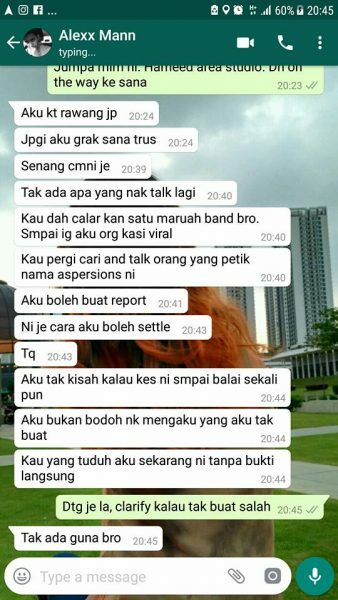 The post was accompanied with screenshots of the organiser’s original statement as well as WhatsApp exchanges between the band’s vocalist and the organiser. 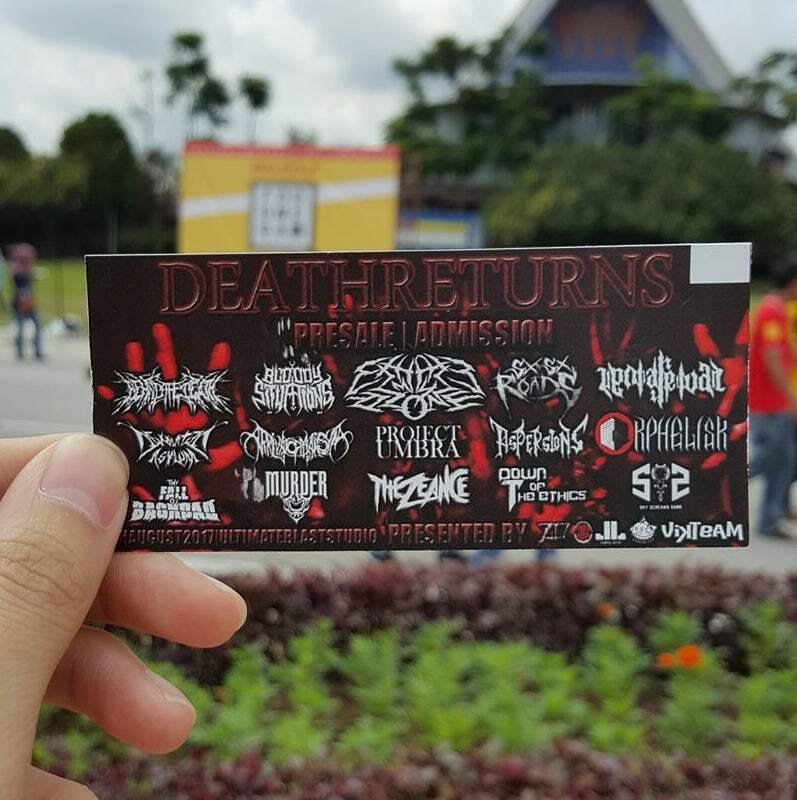 With death metal fans having enough to worry about when it comes to being persecuted by the authorities, it certainly doesn’t help when internal strife is thrown into the mix. 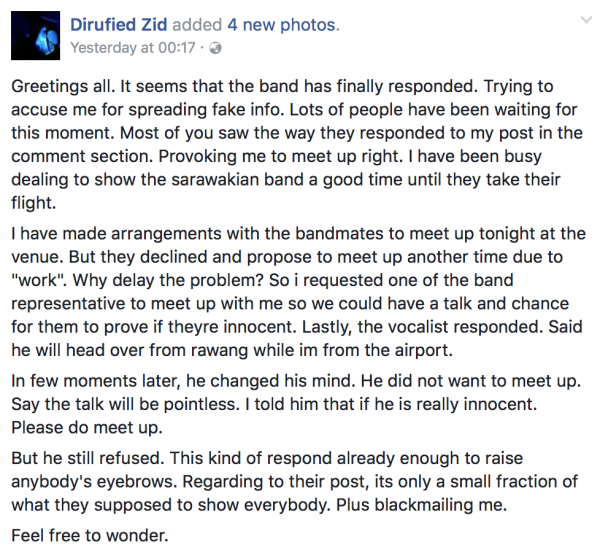 With the online buzz surrounding the issue still ongoing, we can probably expect more statements from both parties in the days to come. 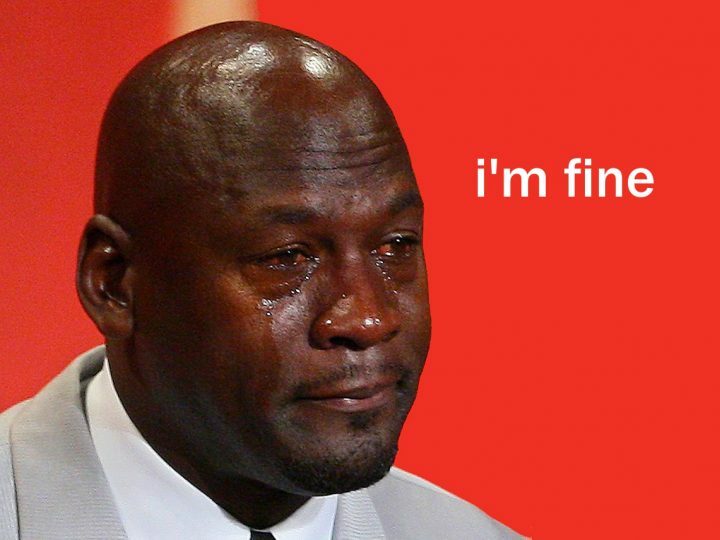 There’s more to Metallica than ‘Enter Sandman’ and ‘Nothing Else Matters’. 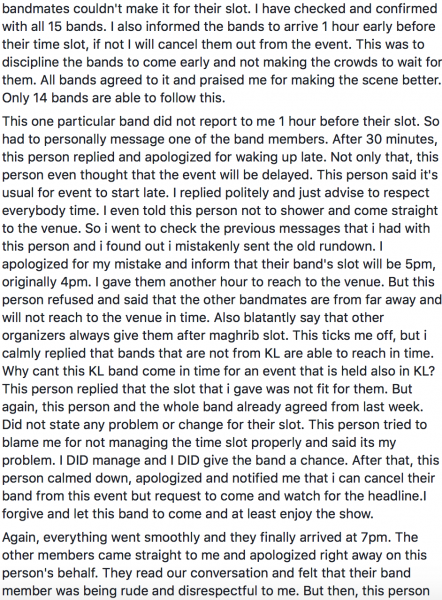 Check out our tracklisticle here.